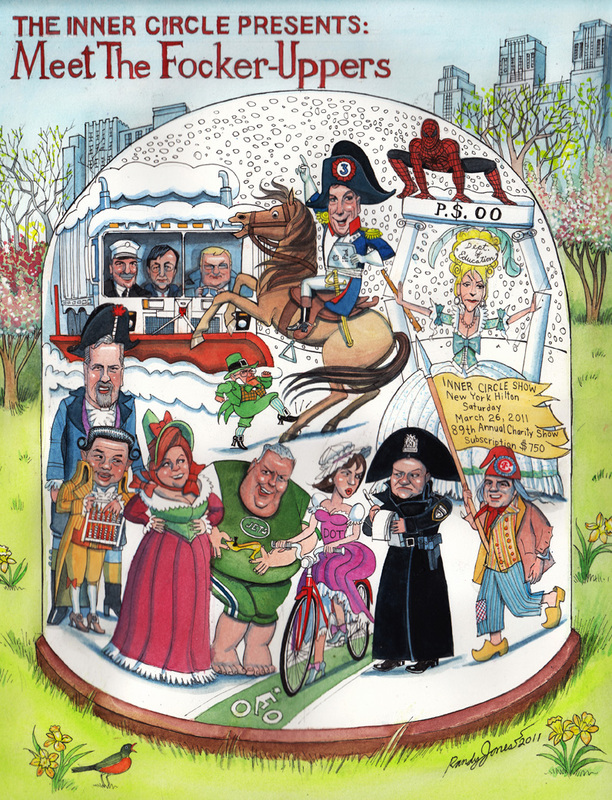 “Meet the Focker-Uppers.” a mildly controversial but always playful parody of politics and government, was met with applause and praise at the 2011 Inner Circle performance, March 26. Many in the audience ranked it among the best Inner Circle shows in memory. And the rebuttal by Mayor Michael Bloomberg continued the parade of hits. Inner Circle cast on stage at Saturday night's hit performance. « ON WITH THE SHOW!!!! !